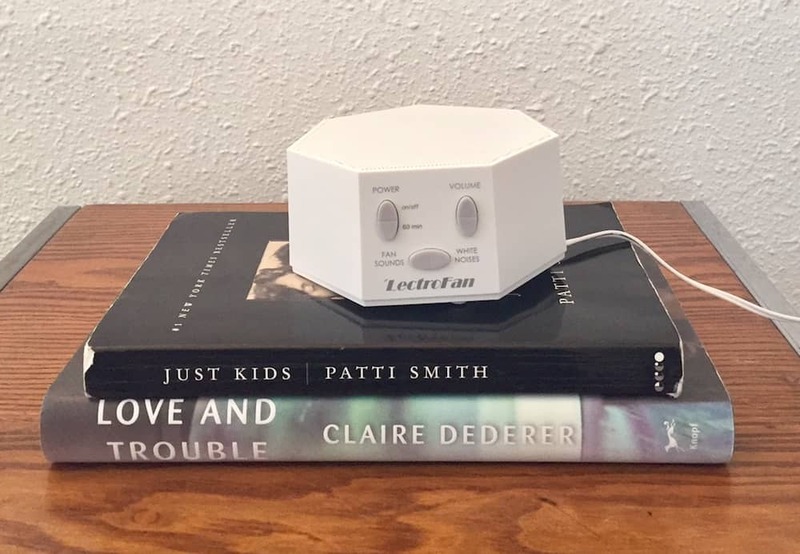 I have been in sifting through the best and most popular sound machines on the market and feel that I can confidently offer you a list of options for all your sleeping, white noise, baby slumber needs. Read on for my favorites in an array of categories, there really is something for everyone (or pet) and every sleep need. Whether you prefer white noise or raindrops, the Sound+Sleep sound machine is designed to lull you into dreamland. 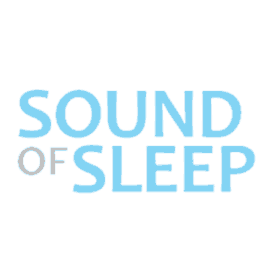 If you are new to the sound machine world, you can now purchase a variety of options to meet specific sleep needs for equally as specific people. I have gone through and shared options for the categories most frequently mentioned, but please let me know if there is something I have overlooked. 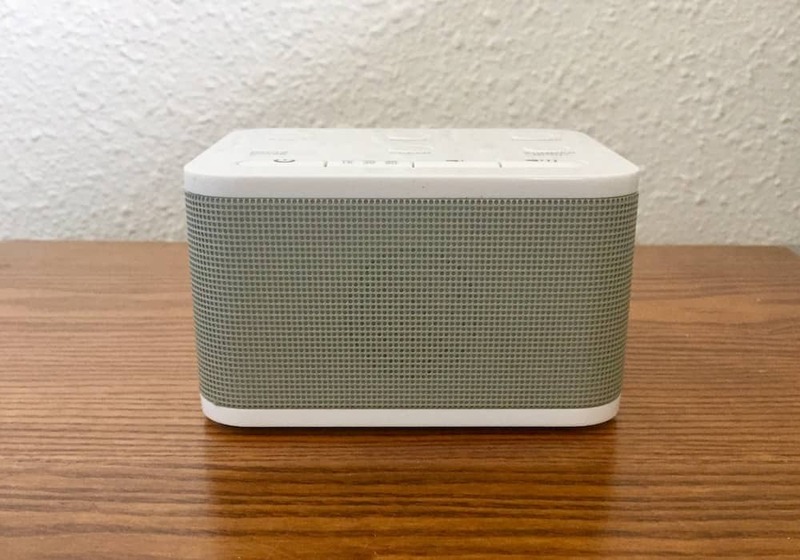 After personallly testing more than 10 sleep machines and reading literally hundreds of reviews, I feel that I have a grasp on not just what is available, but also which machines will best serve your sleep and sound machine needs. Dohm has been making this sound machine for decades and they have it down to a science. The fan noise is not created by manufactured sounds but by “a unique asymmetrical fan that creates the soothing sound of rushing air without the disturbance of actual moving air.” This model is simple and sans lots of bells and whistles, hence why they have been in business since 1962. It is reliable, consistent and it will be making a few appearances on this list for those reasons (and more). 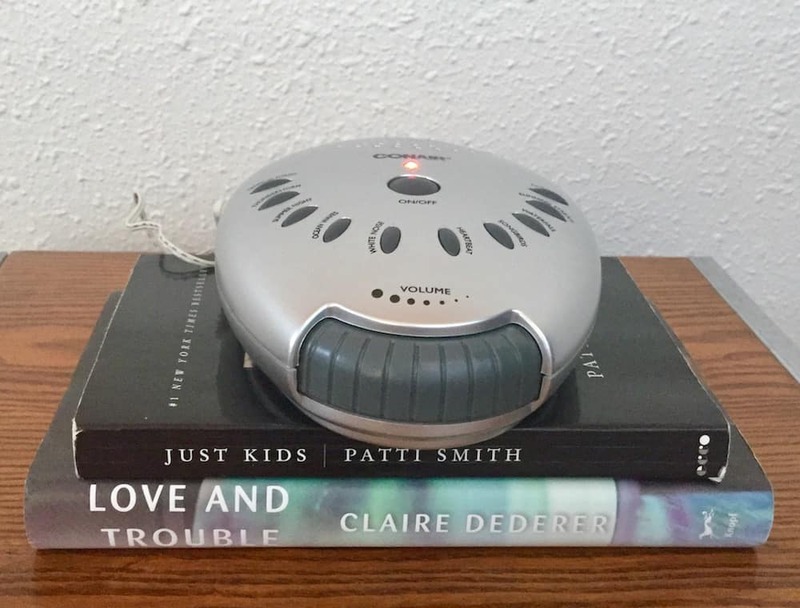 Read more in my full Marpac Dohm review. 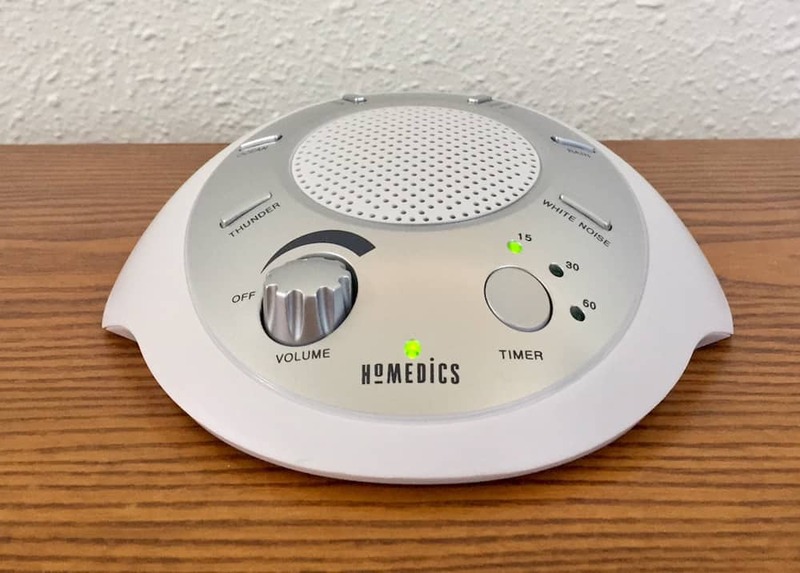 My list might be full of contradictions, because while I appreciate the simplicity of the Dohm sound machine, I was equally impressed (and slept equally well) with the tech-savvy Homedics Deep Sleep Renewal sound machine. 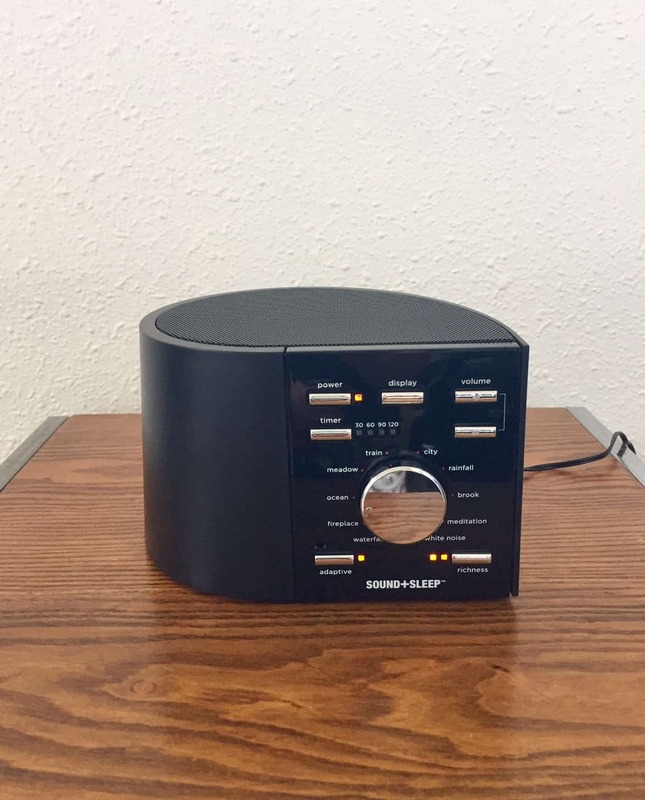 This surpasses the Dohm in appearance (it is modern and sleek) and sound options, there are 12 on this model plus 8 sleep therapy options. You could say this is the antithesis of the Dohm, but I appreciate them both equally. If you are a complex sleeper, wake often and need a lot of noise options, this is your sound machine. 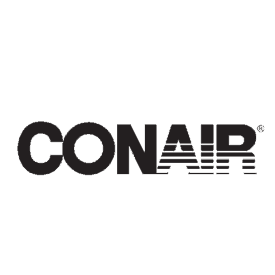 Read more in my Homedics Deep Sleep Renewal review. The Big Red Rooster Sound Machine had my heart for travel upon opening it. Small, lightweight with great acoustics for its size, it is easily portable and ready for your next trip. In fact, reviewers of this machine often purchased it for their children and promptly transferred to their own possession, or more specifically, to their own suitcase. 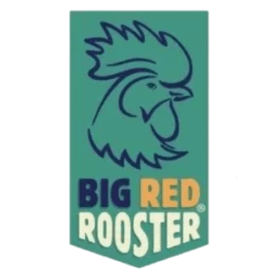 For those that require a consistent and familiar white noise when in new locations, or if you simply want to block outside noises while traveling, the Big Red Rooster gets my vote for quality, affordability and ease of transport. Learn more in my full Big Red Rooster Sound Machine review. Small, durable and chargeable! 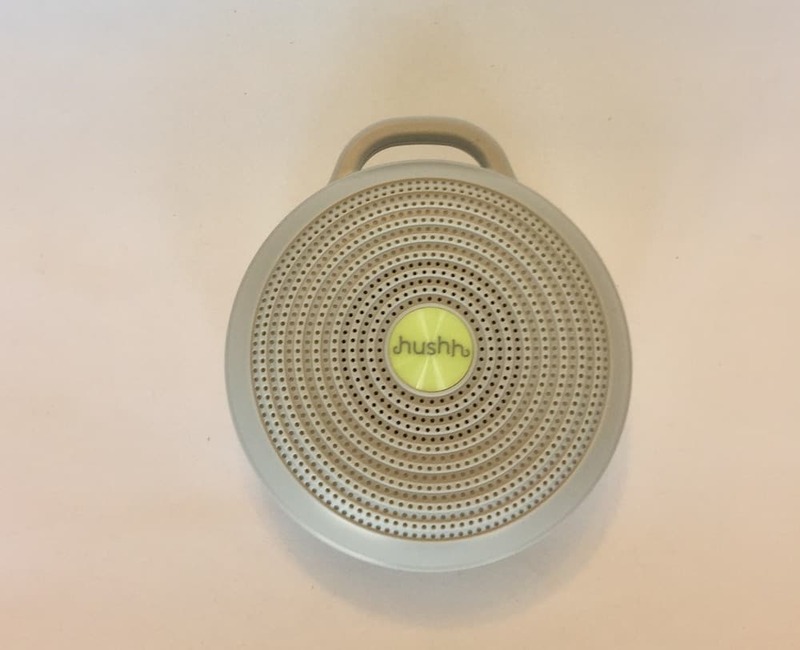 The Hushh Works portable sound machine is ideal for babes ages infant to one year. A petite grey circular speaker with a handle, clip (for strollers and carseats), don’t let the small size of this sound machine fool you, it is powerful. It also comes with a USB (read NO batteries) and can charge in the car, or at your desk. It is loved by parents far and wide for very good reason, all factors make it my first choice for baby category. Learn more in my Hushh Works Portable review. I chose this model as best for toddlers based on the somewhat clunky design (a positive in this case) and large buttons, since durability often the number one requirement when dealing with toddlers (at least my toddlers). I have personally used this model in both of my boys’ rooms (ages 3 and 8) with great results. The sound from this machine ample, the price reasonable and it is very easy to navigate. All requirements for any gadget or toy that will be used by my children. Learn more in my Conair Sound Therapy review. Very easy to operate with a variety of fan options, the LectroFan is perfect for an animal, since they tend to not be particular with regards to the type of white noise used. The LectroFan comes with 10 different fan options, so there are definitely choices, and the volume control is very sensitive – which can be great if you have to leave the machine on all day. Another positive is the small size, which can easily be stored in a room where the pet may stay during the daytime hours. And, depending on the size of the dog, this could also likely fit in a crate. The LectroFan is your best bet for pets. Learn more in my LectroFan review. 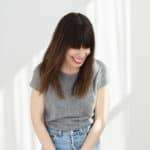 If a snoring partner is your nighttime nemesis (the snoring, not the person, at least I hope not) than the Sound + Sleep Therapy System is your relief. 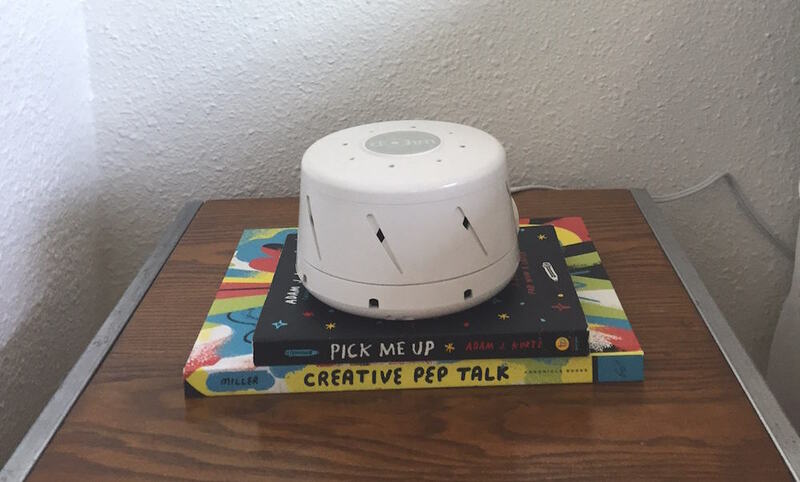 A sound machine that includes “Patented Adaptive Sleep Technology”, it essentially reacts to the noise in the room and adjusts the volume level and richness of the sound accordingly. Hopefully this machine puts an end to the “roll over” pleas of those who share beds with snorers forever. Learn more in my Sound+Sleep Therapy System review. As you can see, sounds can be as simple as white noise or as complex as a lengthy looped nature track. Sound machines vary in size, performance, the type of sounds they make, and additional bells and whistles they might have. Overview (Features): This is an overall assessment of the design, features, and user-friendly nature of each device. How many sounds does it play? Is it portable? How do you adjust the volume? Build Quality: This looks at how the sound machine is constructed. Is it durable? Is it lightweight? Is it heavy? Does it feel cheap? 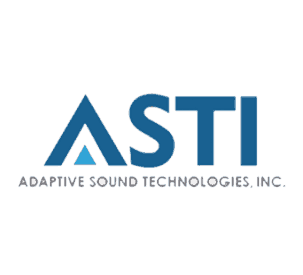 Sound Quality: This looks at the quality of sound that is emitted from each machine. Is it deep and fills the room? Is it soft and shallow? Somewhere in between? Overall Value: Considering overall design, features, build quality, sound quality, and a variety of other factors”, this area assesses the product’s overall value. Do you get your money’s worth? In addition, each comparison is also going to recommend which sleeper might prefer which particular white noise sound machine. While they each have their own advantages and challenges, for the sake of this review, we can pick one overall winner. There is truly sound machine for everyone. 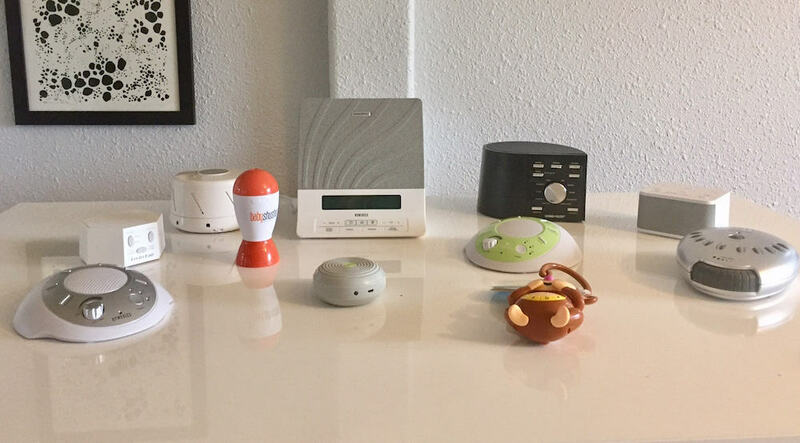 After reviewing 10 plus options I determined that you can invest as much (within reason) or as little as you like to find a model that complements your noise blocking, baby calming or personal sleep needs. If any of the aforementioned machines are of interest, be sure to click through to read the individual review in its entirety. And if you are looking for the all around favorite, my choice is the Dohm. In fact, it is the very machine I use in my own home every night.